Professor June Andrews, Director of the University of Stirling’s Dementia Services Development Centre (DSDC), has been presented with the Chief Nursing Officers’ Lifetime achievement award. The award honours Professor Andrew’s position as a world leader in the field of developing innovative and evidence-based improvements to dementia care practice. She and her team at DSDC have worked tirelessly to improve the standard of care that people with dementia receive. Professor Andrews, who grew up in Saltcoats, Ayrshire, is a former nurse, trade union leader, NHS manager and senior civil servant. A background which serves her well as she works across a number of sectors in the care of people with dementia, including: health, social services and private and voluntary bodies who provide care. During her career, she has also been recognised with the Founders Award of the British American Project of which she is a Fellow, and was awarded the Robert Tiffany Award by the Nursing Standard for her international work. She has considerable experience in management of change in health services, having set up and directed for three years the Centre for Change and Innovation, in the Scottish Executive Health Department. 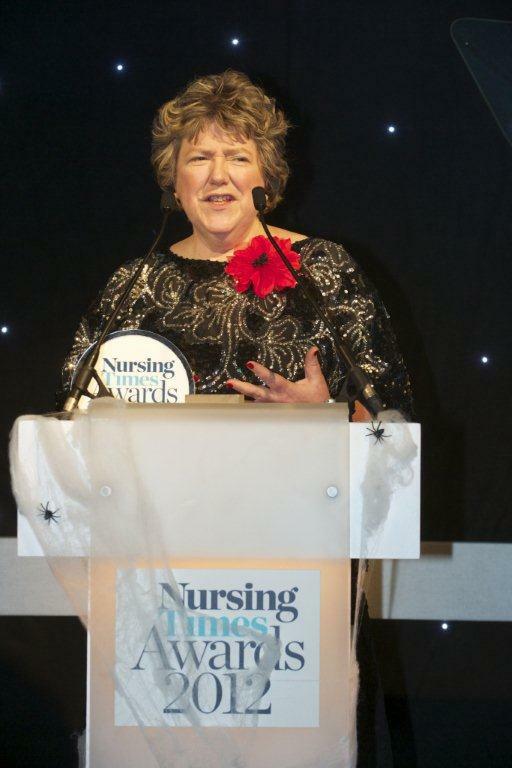 Jenni Middleton, Editor of the Nursing Times, said: “June Andrews is a fantastic winner of the Chief Nursing Officers' Lifetime Achievement Award. Her work, focusing on dementia, shows what excellent nurses can achieve. She has pushed the issue of dementia up the agenda, and ensured that those who have dementia are cared for with dignity and respect. What made June stand out, however, wasn't just her excellent understanding of what constitutes good care, but her tireless endeavour to go above and beyond the remit of her day job. For example, putting together a deal in Northern Ireland, between the government and a philanthropist, to set up and run a dementia centre. What the CNOs loved about June was her ability to 'make things happen'. She is an exceptional nurse and an outstanding champion for her patients. We were delighted to be able to present this compassionate, intelligent and expert nurse with this award."